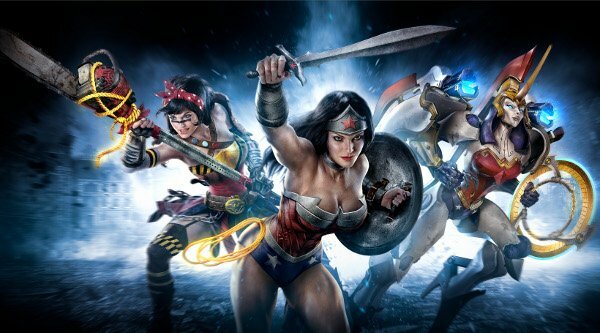 Turbine will open up their multiplayer online battle arena game Infinite Crisis to select players next week. The closed beta for the DC Comics game is scheduled to begin on May 8th. Infinite Crisis allows players to take on the role of DC Comics super heroes and supervillains. The players are divided into two opposing teams and must battle each other while completing objectives. The various characters play different roles depending upon their abilities. For example, Wonder Woman acts as a tank and defends her team from harm while the Green Lantern rains down destruction on enemies from a distance. The game's plot centers around the alternate dimensions in DC Comics lore. Every character on the roster has multiple incarnations, each from a different dimension. For example, you can be the Earth-0 Batman, steampunk Batman, or Nightmare Batman. These different incarnations aren't just re-skins of the same character - instead, they have markedly different abilities. A new piece of art from Turbine shows off three different versions of Wonder Woman. In the image, the traditional Wonder Woman is flanked by robotic and post-apocalyptic counterparts. Those two alternate versions haven't been detailed yet but they're obviously going to play a lot differently than the shield-bearing Earth-0 Wonder Woman. The beta application for Infinite Crisis can be found here.